The retail and services industry has changed a lot over the years with advancements in technology. Most of the consumer durables and commodities can be purchased online via various marketplaces. More people are heading online for their shopping needs because it is far more convenient thanks to detailed information being available on thest websites. Further, many customers provide reviews on different products which also helps other customers decide and buy better alternatives. Ultimately, the ecommerce and marketplaces are a win-win for both sellers and buyers. WooCommerce and Shopify are two of the best e-commerce platforms out there. They are also the most used software to build an e-commerce website. They offer great inventory, shipping, operational and marketing features. One can use thousands of available add-ons/plugins to enhance their website’s capabilities on each platform. Both platforms are relatively hassle-free to set up, and there is more than enough documentation available to help you get started. 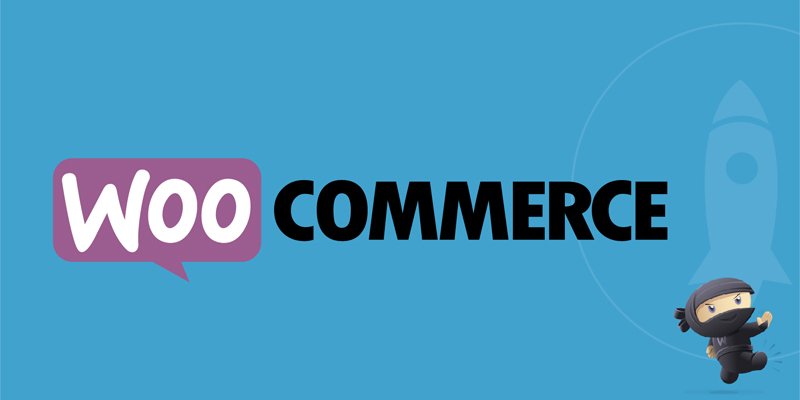 WooCommerce is a WordPress plugin that takes advantage of a freemium business model. You do not have to pay anything for the basic plugin, and if you want more features, you can either download free or paid add-ons. A large number of payment gateways and shipping platforms support WooCommerce. You can also setup various taxes, shipping and product options easily. One of the best things about WooCommerce is the ability to generate reports that detail your incoming sales, inventory, reviews and your e-commerce store’s performance in general. This reporting gives you both detailed and summarised version of your store’s performance. It is also compatible with all kinds of online businesses including those that sell digital products and services. The only gripe with WooCommerce is that you’ve to set it up manually on your server. However, this seems to be changing a fast rate. Many hosting services offers you decently performant and pre-installed WooCommerce stores. Shopify is a great alternative to WooCommerce, and you do not have to worry about installing any additional software to get started with your online store. You do miss out on a free plan similar to what WooCommerce offers. However, the service is quite affordable. The UI is also beautifully simple and delightful to use. You can start with the store almost instantly. There are a number of professional themes available from Shopify. So you do not have to spend a fortune on web design services separately to get started. You can use your own domain name when using a Shopify website and there is a blogging platform available as well. This makes it easy to get add new content so as to keep your target audience engaged. Social media and email marketing tools are available for boosting your sales, and even if you are not very accustomed to using similar platforms, you will be able to get everything done from the Shopify dashboard with ease. Support is available round the clock, and if you want to check out some guides, there is quite a bit of official literature available as well. If you are new to e-commerce and have not dealt with hosting services before, we are here to help. Your e-commerce store will essentially function as a real retail store would. Think of the hosting service as an actual store space available to you for a fee, akin to paying rent of your brick-and-mortar store, but far more affodable. If you opt for a hosted e-commerce website, all of the software and hosting is provided to you by a service provider. You get access to all the tools you would need to build your website through graphical tools, but you may or may not get direct access to the code of your website. Shopify is one such example of a hosted e-commerce website. Self-hosted e-commerce sites require you to pay the hosting service providers for the hosting space. Additionally, you can ask them to setup their self-hosted store too albeit for a small fee. The WooCommerce plugin is the best example of a self-hosted e-commerce website. You install the WooCommerce plugin on an existing WordPress installation. You retain full access to your website’s code, design and the hosting space. Choosing between two of the best e-commerce solutions providers can be quite tricky, and it’s all about assessing your own needs and finding what suits you better. Let’s take a closer look at which service trumps the other in certain scenarios. Control: If you want to be in total control of your website including its code, WooCommerce is the safe pick here. You will not only have access to WooCommerce’s own set of plugins but also the ones offered by WordPress. It does take some time to set up, and you will need to check out the ins and outs of the e-commerce platform to get the hang of it. Price: WooCommerce is available for free if you are looking to create a basic e-commerce website. You can always upgrade and add additional functionality by buying paid plugins and themes. Some of the plugins and themes are worth investing into. They can make your e-commerce store stand out for a just a small fee. Ease of Use: You do not have to bother yourself with code. You just have to let Shopify do the job for you. You simply pay a fee and get access to a fully customizable website that is fully set up. It also comes with a mobile app (for both iOS and Android) to make sure that you can manage your inventory and orders on the go. Support: Although you do not have direct control of your website and how it is coded, you have access to round the clock support to cater to your needs. If something goes wrong with your website, you can get in touch with them almost instantly through various communication channels like online chat, email etc. 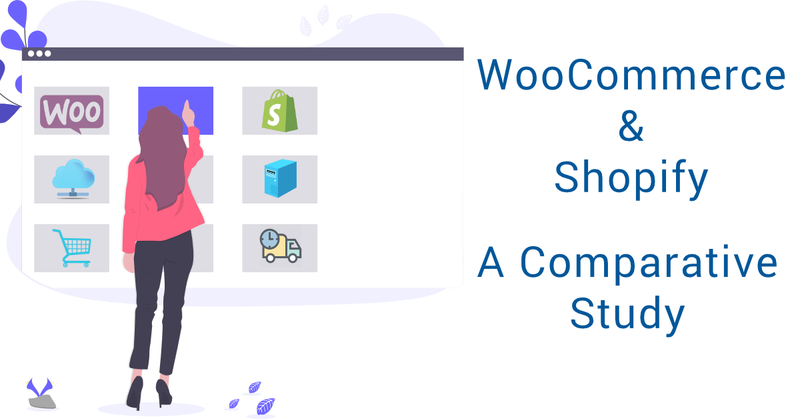 Both WooCommerce and Shopify are popular platforms that are great in their own right, and in the end, it’s all about business preference of whether you want more control over your website or value ease of use much more. For us, we assess the end requirements of the client and suggest accordingly. For example, they want to integrate multiple things (like a blog, static pages, forms etc) on the website, we opt for WooCommerce because it’s easily customizable. For startups who just want to get started, we opt for Shopify and later move them to WooCommerce as and when they start growing. Looking to get an e-commerce website for your business? Look no further, let us handle the details while you focus on selling. Get in touch at hello@citrusleaf.in or click here.